Creation: Appeared February 15, 2012 (CTB) as an upgrade to SR 7900. Ran as it does today. This is the 2nd VA 289. Improvements: Paved upon inception; no 2-lane segments. 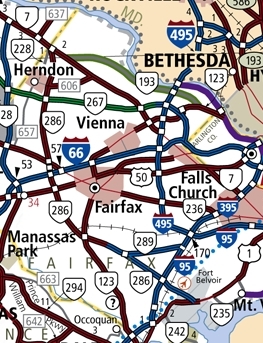 VA 289 has some interchanges along its path. 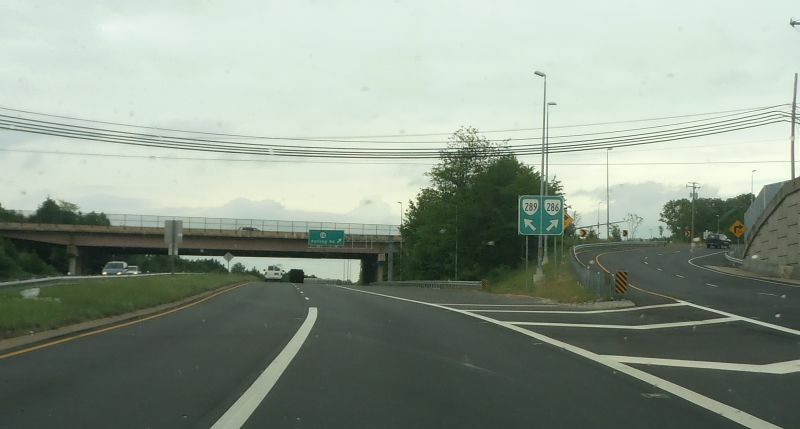 VA 289 is 6 lanes for its entire run. Posting: VA 286 postings appeared in June 2012. Legislative names: Joseph V. Gartlan Parkway, entire route (3-26-01 designation predates VA 289 designation). Comments: The Franconia-Springfield Parkway was opened around 1992. The Franconia-Springfield Parkway provides access to the Springfield Mall and Springfield Metro Station. VA 289 #1: Appeared Sept 1934 (CTB) as a newly numbered route. Was a spur east off US 21 south of Wytheville, only 0.13 miles long. VA 289 was downgraded to SR 696 in Sept. 1942 (CTB minutes).